Just Shutters Virginia Water, part of the Just Shutters Surrey Division, are experts in providing the finest quality plantation shutters to the homes of this beautiful rural town. Whether you live in a contemporary apartment, or a sprawling country home, we understand that your home is your castle! 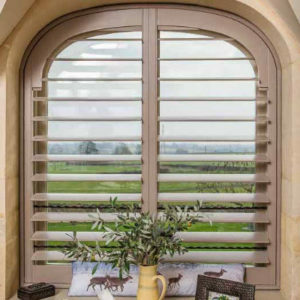 Our shutter experts thrive on designing and fitting bespoke shutters that fit seamlessly into your interiors – creating a breath taking atmosphere in your home. Start you Just Shutters journey today by calling us on 01932 500270, or alternatively use the buttons below. Just Shutters boast the most extensive range of shutters in the UK. Furthermore, we stock our own exclusive ranges that you won’t find anywhere else! As a result, you can rest assured that our team will find the perfect shutters for your home. Get the interiors of your dreams by calling us on 01932 500270 and starting your Just Shutters journey!